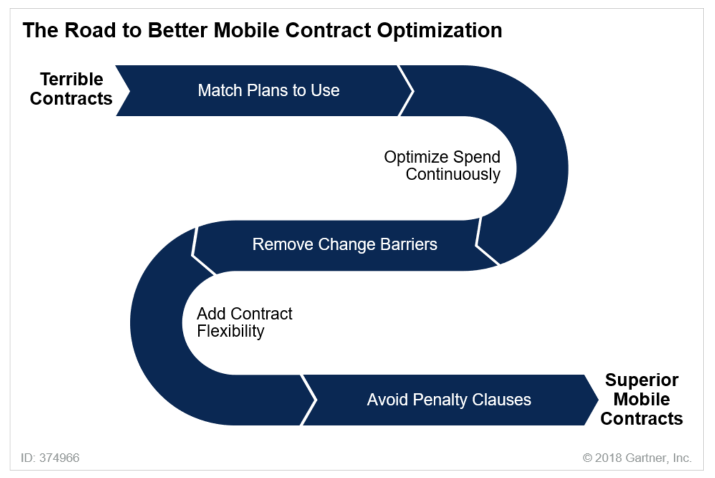 In a research paper, Gartner analysts have outlined five key actions to improve mobile contract cost optimisation. While the paper focuses on the North America and European markets, it has some interesting relevance for Australian enterprises. Combined voice, text and data packages tend to be more competitive than buying services separately, while it still may make more sense to buy flat-rate or pooled voice plans separately from data and SMS plans for low-usage employees. Collate and analyse this data to know your calling patterns and where you will be calling. This should be data the provider produces for each billing cycle. Knowing how much calling is (for example, to colleagues of the same company, to fixed lines, to other mobiles by the same provider or other mobile providers, the number of SMS, and the international or roaming breakdown) enables you to evaluate how good a flat-rate or pooled minutes voice offer is. For low-usage employees request flat-rate or pooled minute plans sold separately from SMS or data services. A flat-rate offer may lower the net cost per minute, depending on the volume and destination of those calls. Quantify the average charges associated with going over the pooled number of minutes because these can be expensive (three to 10 times the cost of a good metered plan). Purchase individual data subscriptions across the company. The most common mobile data subscriptions provide an individual data allotment for each smartphone or mobile broadband device — for example, for 1GB, 2GB, 3GB or more. If buying this plan structure, ask for a sharing or pooling structure that automatically allots surplus data against any lines with overages in each billing cycle. If this structure is not available, negotiate for other options to avoid over-allocation charges. An example is a flexible plan that automatically moves users that exceed their monthly plan to a larger allotment for the month. A few service providers in some regions have reintroduced corporate versions of consumer unlimited data plans, but these can be a costly alternative. The average monthly data consumption per user tends to be between 1GB and 3GB per smartphone user and rising. Evaluate data subscription allotments in the context of current consumption and expected growth that will be affected by mobile usage policy or business-driven considerations such as use of new workforce mobile applications. Enterprise buyers must regularly calculate current usage and forecast expected usage for mobile voice, messaging and data to avoid wasteful purchasing that does not effectively match available service plans with consumption. This becomes more complex given that plans and prices or tariffs mobile service providers offer evolve continually. Simplify this work by decoupling devices from subscriptions to increase flexibility in addition to preventing provider lock-in situations. 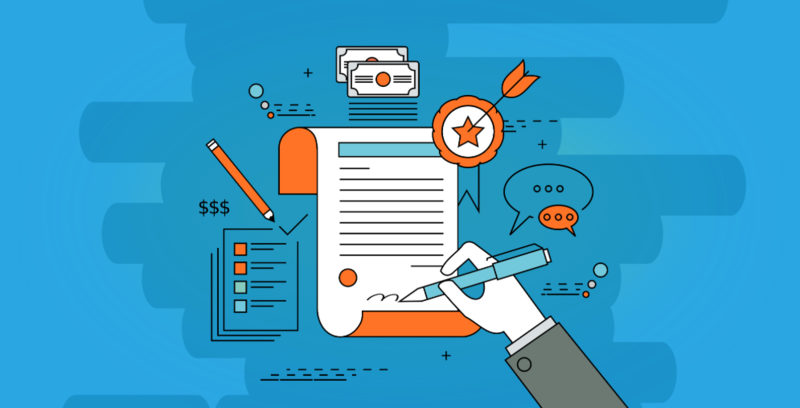 Optimise and review purchases by negotiating, at a minimum, annual benchmarking or rate review clauses in every corporate mobile service contract to take advantage of price declines or new plan structures better suited to your usage. Enforce a policy of asking your mobile provider for a review of price plans and price reductions from the past 12 months. This will help identify and enact plan or price changes that have not yet been proactively proposed and applied to your company’s domestic and international roaming agreement. Mobile carriers’ standard corporate services do not typically provide cost optimisation services providing visibility on usage, invoice auditing, mobile policy consulting, sourcing recommendations and device life cycle management. They make detailed usage reporting available, but the enterprise typically is responsible for culling relevant data, showing conditions such as dormant accounts or chronic over- or under-buying of services, and optimising plan purchases accordingly. Require your mobile carrier to provide such data. Identify whether outsourced MMS can effectively provide these functions. Enterprises increasingly have turned to outsourced MMS, with spending expected to grow at an 11.4% CAGR between 2017 and 2022. Negotiate to eliminate provider terms that hinder the ability to change providers. For customers in regions where subsidised devices are prevalent, negotiate for shorter line terms in return for a smaller device subsidy and whenever possible avoid subsidised handsets altogether. Always require the carrier to provide early termination fee waivers for at least 10% of corporate liable lines each year. Include a financial downturn clause whenever possible allowing the organisation to shrink its commitment when caused by unexpected changes in the financial situation. Include a divestiture clause to be used in case part of the organisation is being sold off to ensure the revenue commitment is adjusted accordingly. It can also ensure the divested part of the organisation can continue to operate on new contract with same terms and conditions as before and during a transition period. Master service agreements for mobility typically average 24 to 36 months, often with an annual spending commitment the enterprise must achieve to maintain stated discounts or any custom or non-rate card pricing agreed upon at the time of signing. Enable the organisation to make no-cost plan changes during the contract term, based on usage patterns and service or feature requirements. Enable subscribers to move to alternative, more optimal pricing plans that have become available. There should be no charge or requirement to extend line terms for such changes. However, be aware that revenue/spend commitments still need to be met, unless otherwise negotiated. Remove onerous financial charges for not meeting spending commitments. Prohibit master agreements from requiring hard cost “clawback” provisions. These mandate that the organisation must pay back to the service provider the monetary value of discounts it received, but did not earn, by meeting spending or line commitments. Such clauses significantly limit enterprise flexibility in migrating lines to a new carrier during the master agreement term, creating less incentive for the service provider to address competitive issues until the next contract renewal. Attribution: This blog is based on the Gartner Research Note: Five Key Actions to Improve Mobile Contract Cost Optimisation could save you 20%; authored by Bill Menzies, Katja Rudd, Leif-Olof Wallin; published 11 December 2018. What do I need to know about Telecom Expense Management (TEMS)?